We’ve had a fantastic response to our requests for items that can be passed on to families in need, so much so that we have called a halt to receiving any more donations until we get more referrals from Health Professionals or get a bigger space. Behind the scenes we are working furiously at meeting these 2 important aims as we want to help a many families in need as we can. 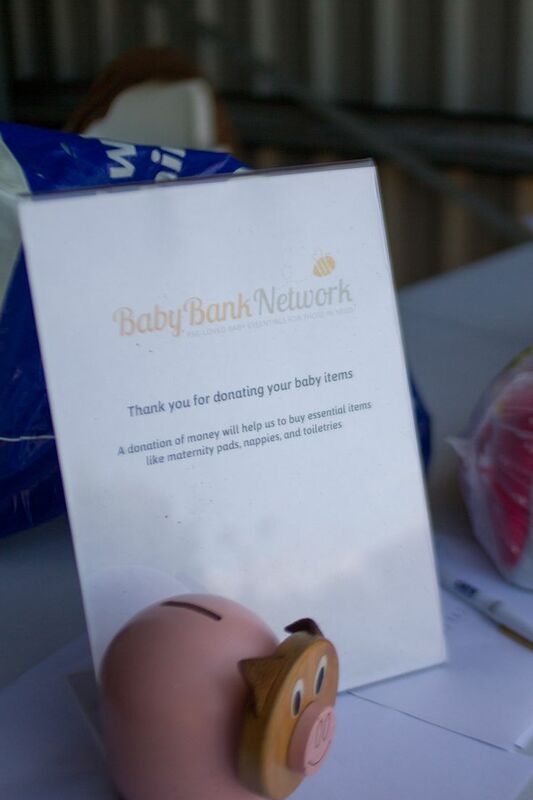 Now we know we have no shortage of donations of baby stuff, the next phase for Team Baby Bank Network is to raise the cash needed to buy new items like mattresses, replacement parts and importantly pay the rent on a premises. Shop at Borndirect natural nursery store via this link and they will donate 5% to the Baby Bank Network. Until the 10th of September you can donate to Natalie Bond’s Just Giving page, she’s running the Bristol half marathon and raising sponsorship for us. Donating via her page means that we can claim gift aid so please do this is you possibly can. Donate cash by standing order as a one off payment or as a regular basis. Email us for bank account details. Even just £2-3 a month will make a big difference if we had a few hundred people doing that. That’s the price of a posh coffee. Attend one of our fundraising events like Cake, play and donate. Details of the events are on our Facebook events page. If you visit Waitrose or John Lewis nominate Baby Bank Network to be a chosen cause. You will need to fill in a form to do this, they are usually by the token collection containers, or if not ask at Customer Services or ask a member of staff. Nationwide Building Society also donate to good causes. To be considered we need more nominations. Please take a few minutes to fill in a nominations form online. Do your own fundraising event. Let us know what it is and if you need us to help promote it and we will post it on our events page and give you lots of mentions. For example hold a coffee morning, cake sale, quiz night, raffle with your friends or colleagues. Visiting KudaCan on Dongola Road, Bishopston is free if you have a baby under 6 months old. However you can put a few coins in the Baby Bank Network money box to enjoy the facilities. Thank you for your support and for helping us to make life a little bit easier for families in Bristol.